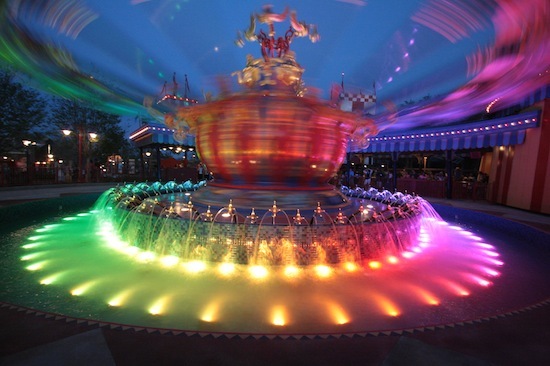 The first section of the new Fantasyland opened more than a week ago, and the Internet has been abuzz since. We take a closer look at some of the finer details. Numerous posters have been added to the construction walls, some giving hints of coming attractions like the Casey Jr. water play area. We also look at some hidden tributes to the former ride here and to Walt Disney’s personal railroad at his residence. Finally, we look at Dumbo at nighttime, which is a true masterpiece of color. 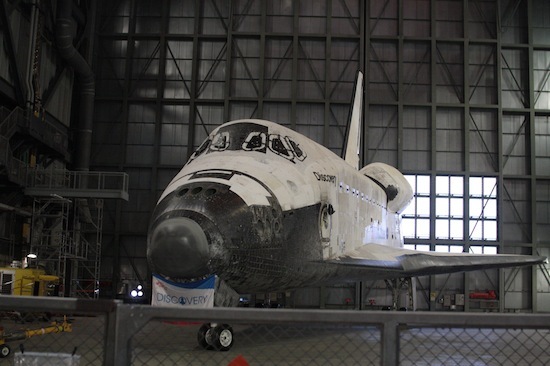 In this update, we also look at the “Up Close” tour at Kennedy Space Center, where you can not only go inside the Vehicle Assembly Building – which is rare enough – you can also see a space shuttle up close, being worked on for inclusion in a museum. Week of March 19, 2012.